Happy Thanksgiving, Rocketeers! We at Pop Rocket are thankful for you, our listeners. For the purposes of this episode, Wynter will be playing the role of Margaret’s sister who always criticizes her stuffing recipe, while Karen is the gay aunt who sold Wappler a bunk Subaru. There was a lot of tension in the studio, and everyone was walking on eggshells. Will our panelists be able to make it through a discussion of awkward family gatherings without bursting into tears? Will Wynter be triggered by a clip of The Family Stone? Will Margaret angrily scream, “Eat the fish, b***h!”? The panel dissects some of their favorite awkward moments--on screen and off--and try to figure out why we’re so captivated by angry, obnoxious relatives. If any of you out there have concerns about fraught dinner conversations over turkey, stuffing, and sides, the panelists are here for you! Margaret alerted us to a fine piece of writing from New York Times critic Amanda Hess, who laments, “nothing ever ends anymore and it’s driving me insane.” If you’re overwhelmed by sequels, prequels, reboots, and overlapping universes, she’s a kindred spirit. If no one spots Wynter out in the wild over the next two weeks, it’s probably because she’s playing her newest video game obsession Red Dead Redemption II. Karen recently discovered the new ABC sitcom Single Parents starring Taran Killam, Leighton Meester and Jake Choi. With Karen Tongson, Wynter Mitchell-Rohrbaugh, and Margaret Wappler. This week on Bullseye, Jesse brings you some of his favorite interviews from 2013. The first of which is his conversation with Rick Moranis. You know him from Strange Brew, Ghostbusters, Spaceballs, Honey I Shrunk the Kids. He is the bespectacled man in argyle socks, who plays nerdy characters with goofy dad jokes. 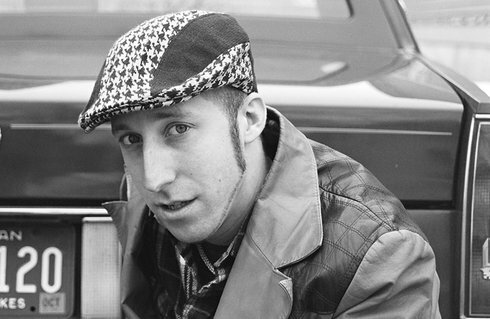 In the late 80's and early 90's, it seemed like he was the star of every family friendly comedy to hit the big screen. But, after his wife passed away in 1991, he quit the movie business, to raise his children. The last time he has been seen on screen was 20 years ago, in Honey We Shrunk Ourselves. Nearly a decade after pretty much signing out of show business, Moranis returned in 2005 with a Grammy-winning album of original music, Agoraphobic Cowboy. In 2013, Moranis released his second album My Mother's Brisket and Other Love Songs, which is a collection of comedic music inspired by Moranis's Jewish upbringing in Toronto. Jesse and Rick talk about his first job selling hockey programs in the nosebleed section, SCTV and the ironic outcome of his famous nose-thumbing at Canadian content laws, and his decision to be a stay-at-home father. Click here to listen to Jesse's interview with Rick Moranis! Lily Tomlin is a comedic actress if there ever was one. She has incredible rang, whether she's playing a precocious six-year-old on Laugh-In or a pill-popping sixty-six year old on HBO's Eastbound & Down, Lily inhabits her roles in a way that few performers can. She was nominated for an Oscar for her 1976 performance in Nashville, as well as being awarded the Mark Twain Prize for humor back in 2003. Back in 2013 when Jesse and Lily spoke, she had just appeared in the Tina Fey led and Paul Weitz directed movie Admission. This was 2 years before a resurgence in her career, which would earn her recognition in Grandma, her first lead in a film in 27 years, and a Golden Globe nomination for the Netflix series Grace and Frankie. Lily talked to Jesse about shaping her role in Admission, the moment that she decided she wanted to be a professional actor...and yes, a certain YouTube-famous confrontation (link NSFW) with I Heart Huckabees director David O. Russell. Click here to listen to Jesse's interview with Lily Tomlin! 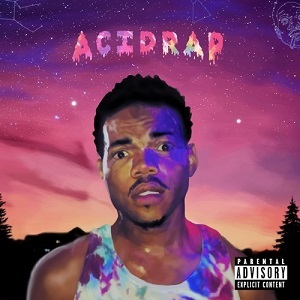 Jesse tells us about Chance The Rapper's 2013 mixtape Acid Rap. Click here to listen to Jesse's outshot about Acid Rap! It's the MaxFunDrive, April 1st - 12th! Visit maximumfun.org/donate to find out more and support this show. Erik Adams and Claire Zulkey from The AV Club join us this week to talk about what you should be watching this spring. Erik's pick is Happy Endings, a great sitcom from ABC with undeservedly less-than-great ratings. 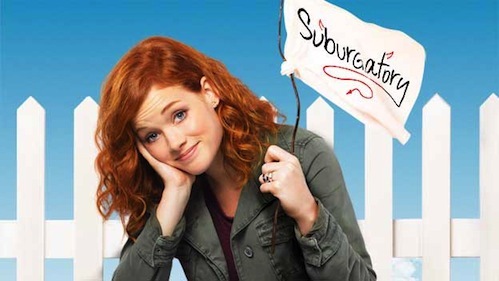 And speaking of ABC sitcoms: Claire's recommendation is Suburgatory, a single-camera sitcom about a couple of Manhattanites who make the big move upstate. 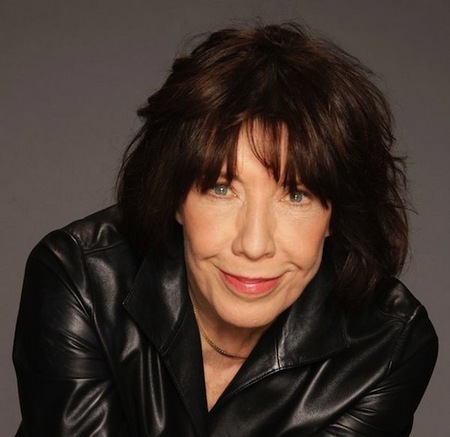 Lily Tomlin has a remarkable range as an actress and comedian. Whether she's playing a precocious six-year-old on Laugh-In or a pill-popping sixty-six year old on HBO's Eastbound and Down; whatever character she plays, Lily inhabits her roles in a way that few performers can. Now, she appears in the new film Admission, playing a tough second-wave feminist mom to an uptight college admissions officer played by Tina Fey. Though she may not have as much screen time as Fey, Tomlin made the most of the role (and insisted on the proper accoutrements, including a fake tattoo of founding feminist Bella Abzug). Lily talks to us about shaping her role in Admission, the moment that she decided she wanted to be a professional actor...and yes, a certain YouTube-famous confrontation (link NSFW) with I Heart Huckabees director David O. Russell. Admission is in theaters now. But wait! There's more! Click here for an extended interview with Lily Tomlin for talk about how she develops her characters, coming out of the closet as a performer, and why her main priority as a comedian isn't getting laughs. And don't forget to share this one with your friends – it's too good to keep to yourself! FOUND Magazine co-creator and editor Davy Rothbart is back again to share more pieces of lost and found ephemera: receipts, notes, and letters with stories behind them that we can only imagine...or laugh at. Davy's new book of personal essays is called My Heart Is an Idiot. FOUND Magazine is on its eighth issue and posts new finds all the time on their website. If you've got a cool find, be sure to share it with them. 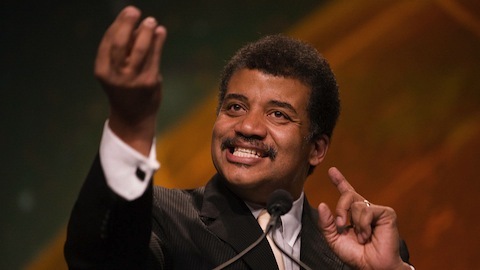 When Neil DeGrasse Tyson was a kid, he had a plan: he wanted to be an astrophysicist. But the adults around him had other plans. They thought he'd make a great athlete. But Neil stuck to his guns, and now he's one of the most famous astrophysicists in the world – heck, one of the only famous astrophysicists in the world. But how did he persevere? Or, to use his words: why was it that he took the "path of most resistance" when there were plenty of other, easier paths around him? Ultimately, it was his passion for the universe itself that kept him going. Neil joins us to talk about why he thinks the universe is more awesome than anything else...and to maybe try to help Jesse get over his fear of outer space. Neil is the host of StarTalk, director of the Hayden Planetarium and the author of Space Chronicles: Facing the Ultimate Frontier, out now in paperback. 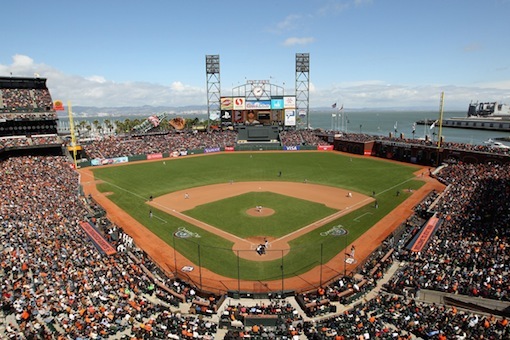 This week, the big thing on Jesse's mind is baseball, specifically opening day – not just for the excitement of the game itself, but for the new beginnings it brings. Special thanks this week to Jalen Warshawsky and No Color for providing the music played during our pledge breaks. You can find those songs and more at the Free Music Archive.